An across the card double today to start of the new year with a bang for one of our former stallions! Multiplex gelding THE HERDS GARDEN saw the form of his Bangor second boosted when the winner struck again at Uttoxeter just before Christmas and, despite being nudged up 3lb, he showed that he’s in great heart by finding plenty up the straight to win at Catterick for trainer Donald McCain and jockey Abbie McCain. Up at Musselburgh, another Multiplex gelding delivered the goods in the 2m 4f Handicap Hurdle for trainer John Quinn, with Dan McMenamin on board. CHEBSEY BEAU is an old stalwart and favourite at the yard – with eight wins to his credit you can understand why! 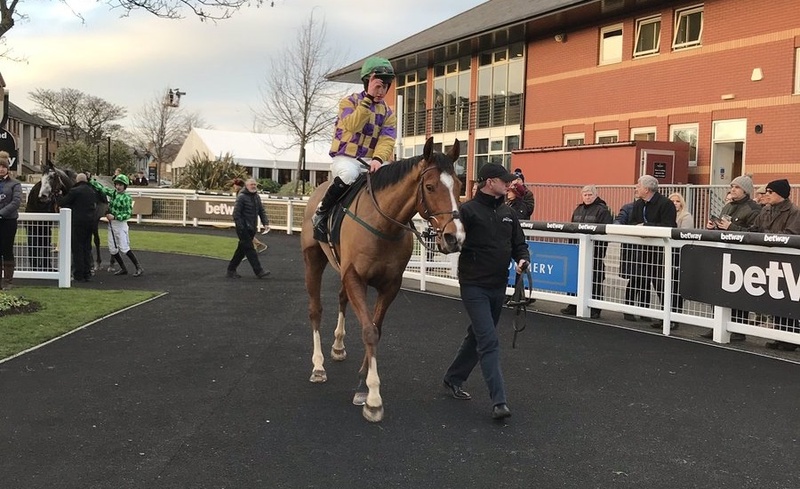 Back over hurdles, and in a first-time tongue tie, he improved on his recent efforts over jumps, which followed a win on the flat in September. He was way back off the strong gallop turning in, but ran on well to take the honours. Congratulations to all connections and Happy New Year!